Over recent years, going to the theatre has become more and more accessible to children. I love taking the girls to see a show, and they love watching stories and characters be brought to life in front of their very eyes. We never fail to have a good time when we go to the theatre as a family. We were lucky enough to be invited to see What The Lady Bird Heard Live showing at Nottingham’s Theatre Royal recently at it was a big hit with both Indie and Brook. In case you’re not in the know, What The Lady Bird Heard is the first book in a series of stories by famous children’s author Julia Donaldson. 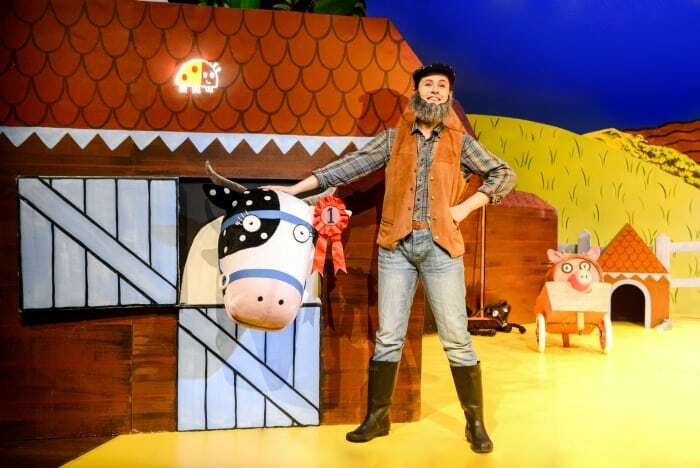 The tale follows 2 crafty robbers, Hefty Hugh and Lanky Len, as they plot to steal the farmers prize cow and how the clever little ladybird saves the day. 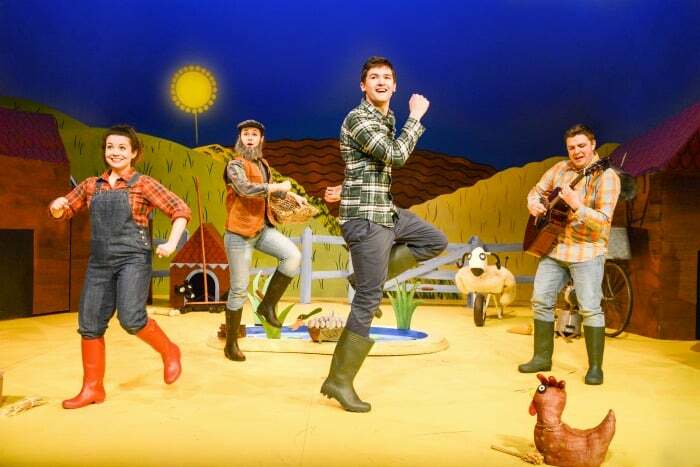 The way this story is bought to life on the stage really captures children’s imagination as the wonderful cast create a whole raft of farmyard animals from things they find on the farm. Watching a watering can turn into a goose and a tin bath become a horse is the perfect opening to the show. Children’s theatre really needs audience participation to work well and What The Lady Bird Heard makes the children feel apart of the show from the beginning. The cast come and speak to the audience to find out who they think lives on the farm and the children play an important role in spotting the ladybird on the stage when she appears. 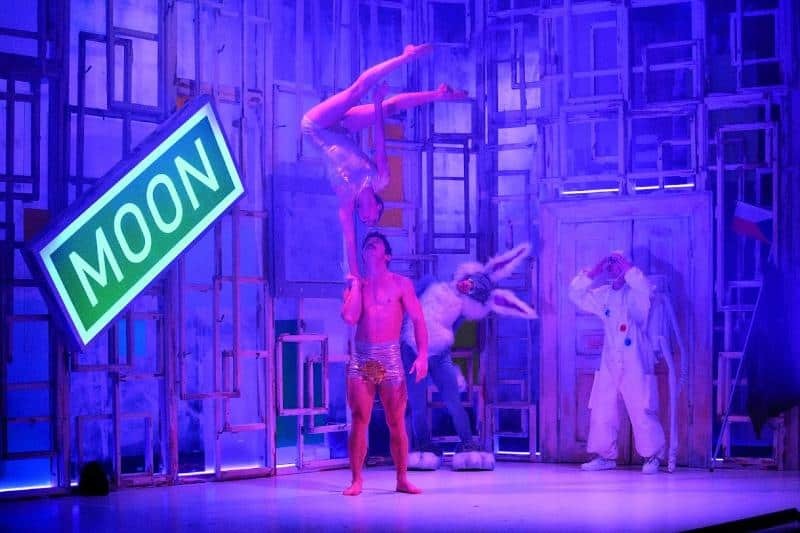 We really loved the use of singing and dancing throughout the show to tell the story and the humour was pitched perfectly to get a giggle even from the youngest members of the audience. If your child loves the story, What The Lady Bird Heard, or even if they haven’t been introduced to the book yet, this show is a perfect way to introduce them to going to the theatre. The show time is 1 hour, and there’s no interval, which I think works a lot better for small children. When there is a break, very young children seem to lose the thread of the story and think that it’s finished. What The Lady Bird Heard Live is currently touring the UK and you can get more information about dates and venues here. You can also keep up with the latest updates on Facebook and Twitter. I’m absolutely delighted to be able offer a family ticket (2 adults and 2 children) for going to see What The Lady Bird Live at the Leicester Curve when it’s showing between the 3rd and 8th April this year. If you live near by and would like to be in with a chance of getting hold of these tickets, please complete the rafflecopter below. Thanks so much for entering and wishing you all the very best of luck. Competition ends 2.3.18. Other T&C’s apply. We were provided with a family ticket to What The Lady Bird Heard Live in exchange for this post, but all thoughts and opinions are our own. Love Julia Donaldson, it’s a great book. Always been a favourite bedtime read, so to see it for real would be amazing! Thanks Zena! My son is a huge fan of the books and has all 3 of the ‘what the ladybird heard’ series. I know he’d love to see this live version. Currently in hospital spending time away from my girls so would be a lovely treat for us as a family when I get out of hospital. I would love to win this prize as we are all massive fans of this book in our family. My two nieces love Julia Donaldson (Room on the Broom is their current fave) & living locally this would be a the perfect treat for me to take the to. Both of my kids love this book and would really enjoy seeing it on stage! My little 1 loves the book, to see the show would be amazing! We would love to see this on stage! Thanks for the competition. My son has never been to a play before. 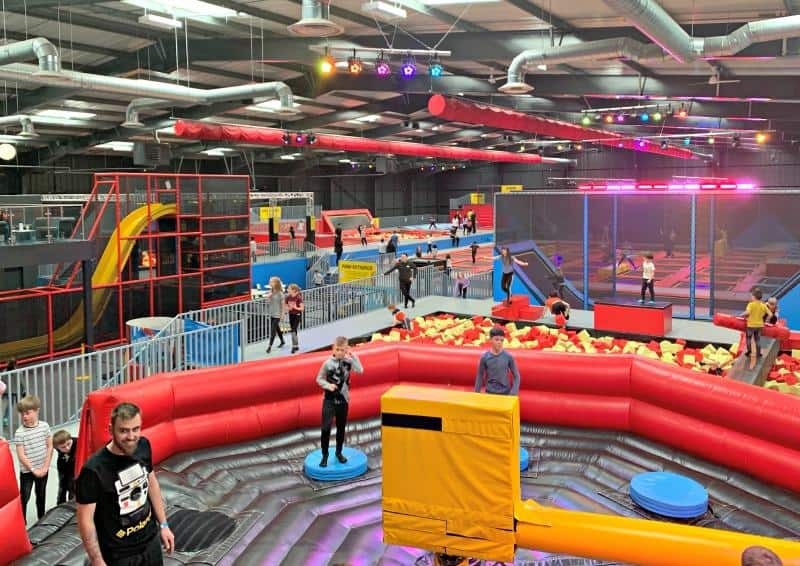 I would love to win the What The Lady Bird Heard tickets so I could treat my little niece and nephew to a day out on Great Auntie Lynsey. I would love to win and take my grandchildren to see this as they love to watch a show! This is my daughter’s favourite book, she loves looking for the ladybird hiding on every page.